NGS honored excellence in the categories of genealogy and family history newsletter editorship and service to the Society with the presentation of several awards at the Opening Session of the NGS 2014 Family History Conference in Richmond, Virginia, on 7 May 2014. The Opening Session keynote speaker was Dr. Sandra G. Treadway, Librarian of Virginia and State Archivist at the Library of Virginia in Richmond, who spoke on the topic “The Evolving Library: Planning and Adapting to Meet the Needs of Twenty-First-Century Researchers” after which NGS President Jordan Jones presented the following awards. Winner: The Timen Stiddem Society Newsletter, newsletter of the Timen Stiddem Society, edited by Richard L. Steadham of San Diego, California. Honorable Mention: The Killian Family Newsletter, newsletter of the Andreas Killian Descendants Historical Association, edited by Charles D. Killian of Ellenwood, Georgia. Winner: The Tracer, newsletter of the Hamilton County (Ohio) Genealogical Society, edited by Deb Cyprych of Cincinnati, Ohio. Honorable Mention: The Newsletter of the Irish Family History Forum, edited by Patricia Mansfield Phelan of Freeport, New York. Winners: PastFinder, the newsletter of the Silicon Valley Computer Genealogy Group, edited by Janet Brigham of Mountain View, California and Der Blumenbaum, the newsletter of the Sacramento German Genealogical Society, edited by Shirley J. Riemer of Sacramento, California. Honorable Mention: Penn in Hand, the newsletter of the Genealogical Society of Pennsylvania, edited by Deborah Coombe Haas of Philadelphia, Pennsylvania. The President's Citation is given in recognition of outstanding, continuing, or unusual contributions to the field of genealogy or the society. The National Genealogical Society President selects the recipient and this year Ronald Ames Hill of Star, Idaho has been selected. Ron Hill was certified by the Board for Certification of Genealogists as a Certified Genealogist in 1997. Since 2003, he has served on the editorial board for the NGS Quarterly. He has served as a trustee for the Board for Certification of Genealogists (2003−2006) and as president of the New Mexico Genealogical Society (1978–1979). He has published four books and 37 articles in peer-reviewed genealogical journals; and he currently has six articles accepted and awaiting publication. Ron earned the NGS Award of Excellence: Genealogy and Family History Book (2008) for his book Ancestors and Descendants of Reuben Ball. In 2003, his book The Tumultuous Achym/Fulford Relationship: With Abstracts of Chancery Court Proceedings garnered him the American Society of Genealogists’ Donald Lines Jacobus Award for “a model genealogical work published within the previous five years.” That year, he was elected a Fellow of the American Society of Genealogists. He coordinated the English track at the Salt Lake Institute of Genealogy in 2009 and has lectured at many conferences, including the NGS 2013 Family History Conference in Las Vegas. 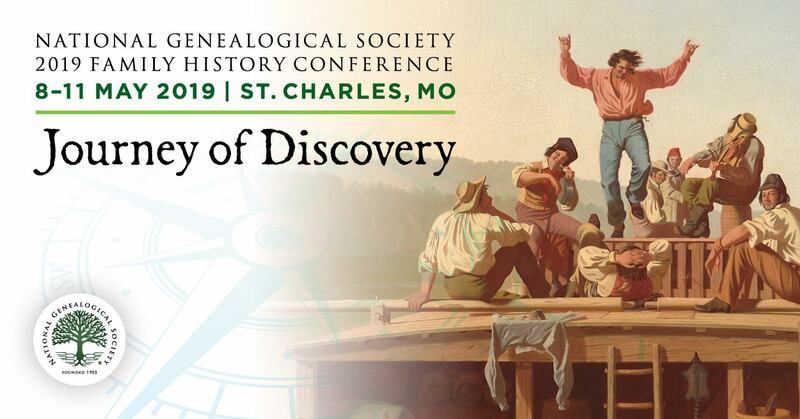 Ron is a consummate leader, scholar, and teacher who has tirelessly promoted excellence in genealogical research, writing, and teaching, all the while promoting adherence to the finest in genealogical standards. NGS also recognized several individuals for their dedicated efforts in support of the NGS 2014 Family History Conference in Richmond Virginia. The Award of Honor was presented in recognition of dedication and sustained service in support of the conference. The recipient of the award was the Virginia Genealogical Society.